Imagination is one of the greatest gifts of Nature to humanity. Imagination precedes all our inventions and discoveries. In science, hypothesis is the name we give to imagination that logically proceeds from the known facts to unknown possibilities. Probably it was imagination that led to the first groundbreaking discovery in the history of civilization, the invention of the first moving wheel. Imagination makes us futuristic. It played a significant role in the ancient world and helped humans to make sense of the world and find meaningful solutions to difficult problems. It still plays a vital role in empowering us and enabling us to overcome our difficulties and limitations in conquering Nature and finding solutions for our survival and wellbeing. The ancient Indians believed that it was possible for humans to enter mentally or psychically another person's body, whether dead or alive. There was a whole branch of knowledge associated with it in Hindu Tantra. It was called parakaya pravesam. In essence it is similar to what you might have seen in the movie Avatar. It is also similar in concept to the contemporary idea of downloading the mind or brain data into a bionic or computing system. Hinduism does not preclude the possibility of separating the mind from the person. The Hindu spirituality is essentially about separating the mind and body from the soul or the Self and become a witness to them. Hindu philosophers held for long that the mind is a mere receptacle of thoughts and memories and one can learn to watch it mindfully in a deep state of meditation. Truths of our existence and our real identities become self-evident only when the mind became totally silent as if it is non-existent. The Buddha felt the same, but believed that the mind was just a cognitive illusion, an association of thoughts and memories held together by the bonds of desires and attachments, with no permanent, eternal witness in the background. When the mind was dissolved beyond all identities and formations, he declared that it ended the formation of the being and the existence of his self-identity. Thus, the Indian philosophers and spiritual masters considered the mind not much different from other organs in the body. It was considered the sense of the senses, which like other senses could be controlled and regulated. It led them to believe that it was even possible to replace the head of a person with that of another. We learn from the Vedas that the twin Asvins, who are mentioned in the hymns as celestial physicians had that ability. According to one ancient legend, they replaced the head of a sage named Dadhichi with that of a horse. Then they replaced it again with his original head. Hindus are also familiar with the story of Lord Ganesha, whose head was replaced with that of an elephant. Thus in Hinduism we have a consensus that the human mind, the head, or both can be controlled, altered, silenced, removed, or replaced with no permanent damage to one's self-awareness or identity. Hindu scriptures also suggest that while the mind dies along with the body, a part of it survives and continues its existence in future as latent impressions or casual mind (karanachitta). This brings us to the current topic of our discussion, the possibility of downloading human consciousness from the brain either fully or partially into a computing system and using it like any other information model for storage, retrieval, analysis, processing, and manipulation. While we may not know yet how to do it, we know that logically such a possibility cannot be ruled out. If the mind is an association of thoughts formed and held together by a biological system such as the brain, it follows that they can be separated and held together in a similar artificial system that is modeled and works on the same principles as the brain. Recent studies in brain research, neuroscience, artificial intelligence and related fields predict that in the near future, may be in 20-30 years, human beings will develop the capability to download the information that is stored in the human mind or brain into a memory-chip or a computing system. In the last few years our knowledge of how the brain functions and how memories are stored and retrieved has vastly improved. According to a famous neuroscientist, scientists in Japan are developing the ability to videograph dreams. Brain imaging techniques and study of conscious experiences are helping us to track brain activity and isolate the exact areas where thoughts and emotions are produced by various triggers. While there are skeptics who doubt whether we will ever be able to do it, current trends in this regard suggest to the possibility that in the near future we may at least manage to download a portion of the human consciousness into a storage system. It is true that whatever information one may download from a human brain would be just a copy and may not entirely represent the individual or his or her individuality, or what we call the beingness. Besides, once downloaded, it will have a date and time stamp and remain a static model, unless it is somehow updated on a continuous basis from the source through a connecting device. Even then it will be doubtful whether such a system will have the same personality and functionality as the original, since it will remain in vitro, without the supporting organs and the nervous system to which the brain is connected in a human body. Besides no one can be sure how such systems can be maintained error free without the usual problems of data corruption, transaction integrity, replication issues, data loss, etc. However, a partially downloaded brain in itself can hugely be advantageous to our future civilization in ways that we cannot currently envision. It appears that human beings are on the threshold of furthering Nature's design as its chosen agents to evolve new intelligent systems that will be far superior to themselves and become creators of more evolved versions of their own intelligence. If humans are Nature's 1.0 creation, humans may create systems that are 100.0 and beyond, which at some stage may become creators of further systems. It is perhaps how Nature works to create efficiencies and remove redundancies through a program of self-destructive cannibalization of existing systems by its succeeding ones. However, political, social and religious ideologies may slow down the process and create new regulations to prevent misuse of technology and advancement of dangerous intelligences. Within such limitations, we may still manage to create advanced self-learning systems, just as we are doing with nuclear science or genetic engineering, with inbuilt checks and controls, keeping in view the ethical and moral issues that may arise from the use or misuse of technology, and without ignoring our concern for survival and self-preservation. Future humans are going to grow in the image of the aliens as envisaged by our science fiction writers. Whether they are going to be benign or destructive, only future can tell. With the advances in human psychology, neuroscience, behavioral therapies, consciousness studies, and future self-learning systems which currently go by the name cognitive computing, and with parallel developments in the field of robotics and artificial intelligence, the advantages of downloading human consciousness into a storage system seem endless. The following ten are a few that seem most viable in the present-day context. 1. Help in building ancestry and family records: Human beings can store their brain information in private databanks on a regular basis which can be used by them for study and reference. Once they are gone, their descendants can retrieve the information to know how their ancestors lived and what they experienced. They can serve as role models for future generations or for the study of their family history and ancestry. 2. Help in the treatment of brain Injury and memory loss: Information stored from the mind will prove invaluable to those who suffer from brain injuries. The stored information can be used by individuals in case of brain injuries and memory loss to fill in the gaps or to restore their lost memory. 3. Contribution to cognitive and behavioral sciences: The information stored in millions of brain data-centers can be connected to a central supercomputing processor to study and understand human behavior and find solutions to the problems of human psychology and behavior such as bipolar disorders, depression, etc. 4. Dealing with crime and Homeland security: Governments can download information from the brains of criminals, terrorists, and trouble makers without the need to torture them or induce them to speak the truth. Such information can be produced even in courts to punish the criminals who currently evade the law due to lack of evidence. 5. Improving robotics: The information culled from millions of human brains can be used to devise more advanced, artificial, intelligence systems and robotic machines that can work with greater efficiency and capability to resolve common problems, manage dangerous jobs, travel to distant planets to search for resources, and protect humans from danger. 6. Preventing disabilities: The information can be used to predict the susceptibility of newly born children to certain behavioral abnormalities and find measures to prevent them or resolve them through simulation techniques. 7. Improvements in learning and entertainment systems: The information may enable people to connect remotely to other brains such as soldiers in a battlefield or astronauts on distant planets and experience directly what they may feel and perceive, without having to expose themselves to the physical conditions and circumstances. 8. Contribution to self-knowledge and self-awareness: The information can help people to create their own robotic replicas for study, observation, learning, and friendship. Who can be your own best friend other than yourself? 9. Commercial implications for exceptional individuals: The information can be sold or transferred by individuals for money or other consideration to private companies and research laboratories, just as we are now doing with organ donations, sperm donations, and personal biographies. Creative artists, scientists, experts, and people with specialized skills and knowledge can demand a higher price for the information they provide. 10. Help in past life recall and regression techniques: Finally, the information may help individuals to know about their past lives and establish conclusively whether rebirth is true or not. For example, people can store their minds in a central databank. In another life, if there is one, they can go back to those places where information is stored or available and check whether there is any information or a particular brain copy that matches their intuition, past life impressions, dream experiences, or subconscious memories. 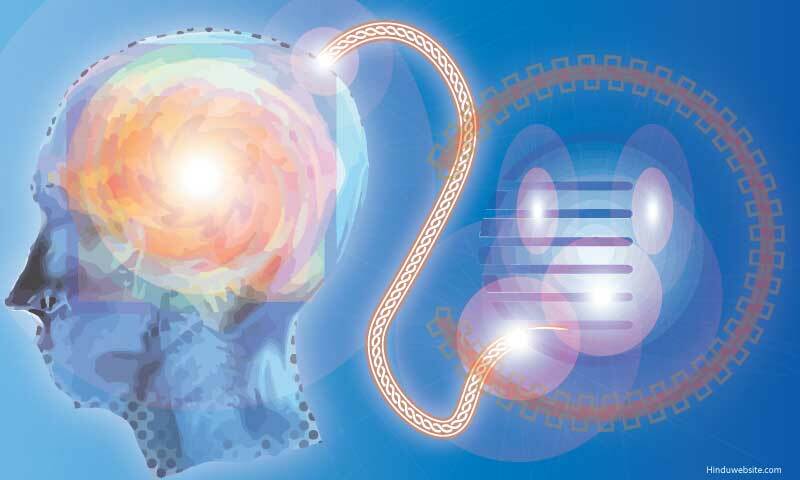 Downloading of the consciousness or information in the brain also establishes firmly whether the self-concept is a mere cognitive illusion caused by associated memories that are held together by desires and attachments as claimed by the Buddha, or whether it is the projection of an eternal and indestructible Self in the field of mind (citta) as claimed by the Hindu philosophers. No doubt, brain downloading will seriously compromise privacy laws and expose the public to many risks of information overload and over dependence upon digital systems. In a brain-network, human beings will become the nodes or workstations, replacing the present-day computers and desktops, thereby losing their freedom as individuals. Individuals also may lose their professional distinction and value, as knowledge and talents become accessible, repeatable, retrievable, and alterable. Future humans would probably not require any device other than their own brains to store and retrieve information directly from the network of downloaded minds, perhaps for a price. They will perhaps watch movies directly in a dream like state through a public or commercial information system. Most likely they will be a combination of organic and metallic components, or what we may call the Meta Beings. Skeptics may think that all this is science fiction, but it was what people previously thought when the first steam engine was invented or when the first plane was airborne. They believed that horse drawn carts had a better future than the steam engine driven trains. People take time to perceive trends that will steer the humanity in a new direction, but some minds see far into the future and know the reality of things to come. The progress of the world depends upon such visionaries only, not the ones who still believe that the stars are angels, evolution is a hoax, and the dead will rise from their graves and ascend heavenwards.